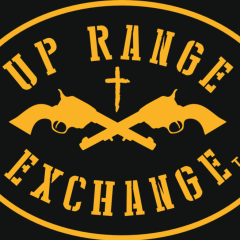 The one thing that sticks out at me over all these years in this sport is how it becomes bigger than just the shooting, the awards, or even the guns. Cowboy Action Shooting turns into your Cowboy Family. 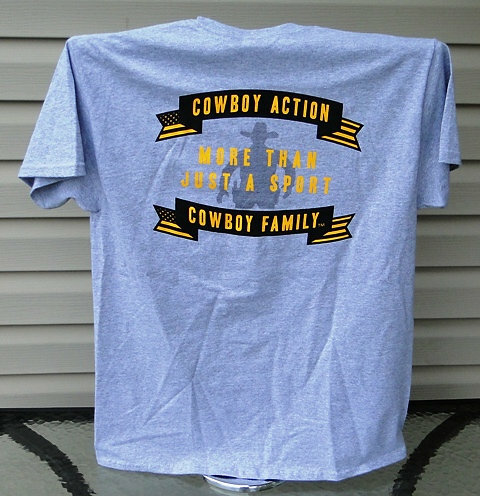 I am forever grateful for my "Cowboy Action, Cowboy Family", it definitely is "More than just a sport". 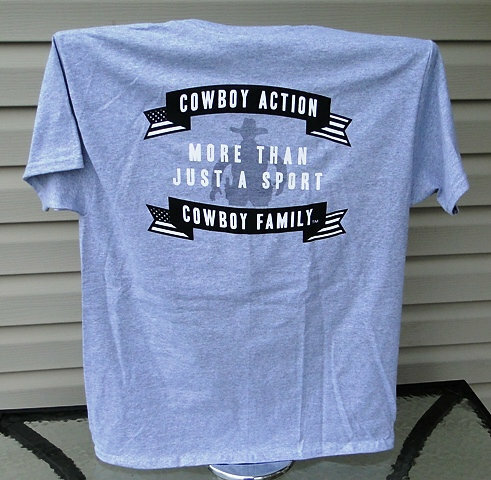 These Gildan Ultra Cotton T-Shirts feature the Up Range Exchange Logo on the front, and a great message on the back "Cowboy Action, Cowboy Family: More than Just a Sport". 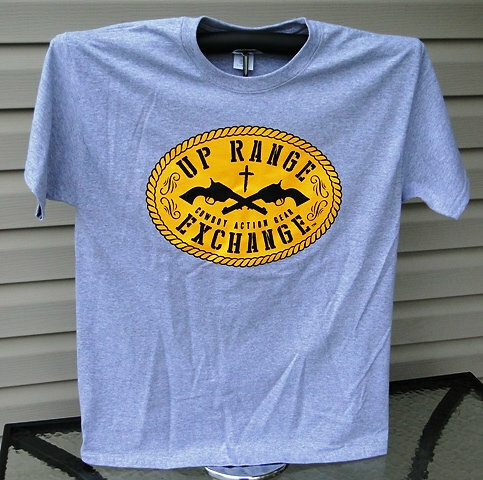 ON SALE for a limited time.. $15 plus $7.25 Flat Rate Shipping (to the United States only). 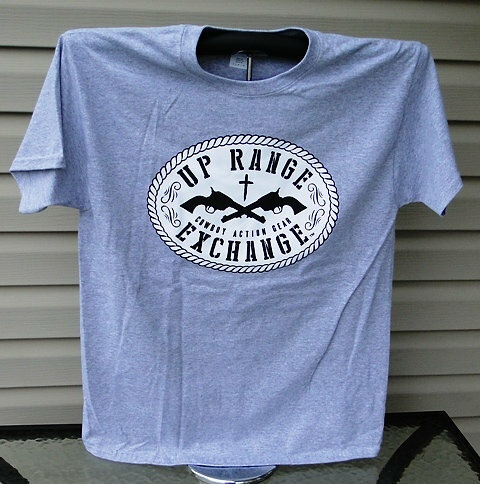 Get yours today for $20 plus $7.25 Flat Rate Shipping (to the United States only). Plus sales tax if in Ohio. Available in a Yellow or White background. To Order, just leave us a message right here, send a personal message, or click on the link to use our website. We accept Paypal, Check or Money Order. Thank you and thanks for looking! I just ordered mine. I like the way you guys think. On Sale $15! for a limited time.